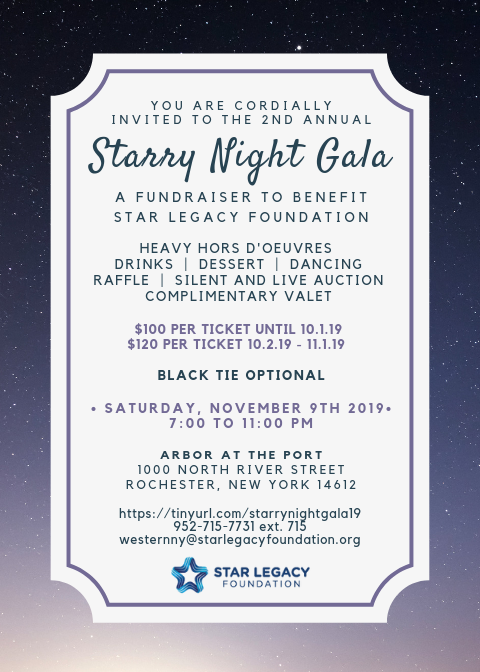 The 2nd Annual Starry Night Gala is a black tie optional fundraiser hosted by The Western New York Chapter of Star Legacy Foundation. The purpose of the event is to honor babies gone too soon, raise funds and most importantly raise awareness for Star Legacy Foundation and its mission. The night is full of food, drinks, dancing, auctions, love and much more. We hope that you can join us for a memorable evening!